Fighting back the tears (which seemed to come so easily lately), I turned left when the light changed to green, and made my way down the road. “I just need Your joy again, Lord,” I whispered. The road came to a bend and I eased around the turn. Then, out of the corner of my eye, I saw him. The little boy was standing in his front yard, near a big maple tree, proudly sporting bright blue pool goggles. His hair stuck up in all directions, and he had the biggest smile spread across his face as he waved at every passing car. I felt myself grin widely as I waved back to him. And in the brief moments that followed, I realized I was still smiling. Such a small, insignificant thing…and yet, it hit me hard that just maybe, in my personal time of sadness and grief, God had heard me. And He had just used that goofy little boy to send a ray of sunshine into my dark places – at just the right time. Look for the moments when God uses the seemingly insignificant to fill us with His joy and love (or the moments when He’s using YOU to reach someone else!). Sometimes, it’s just a beautiful sunset, a note from a friend, an encouraging word on social media, or that unashamed little boy in the pool goggles that can lift your spirit and give you the hope that God is listening. God is right beside you. He is walking with you through whatever you’re facing today, tomorrow and what lies ahead. 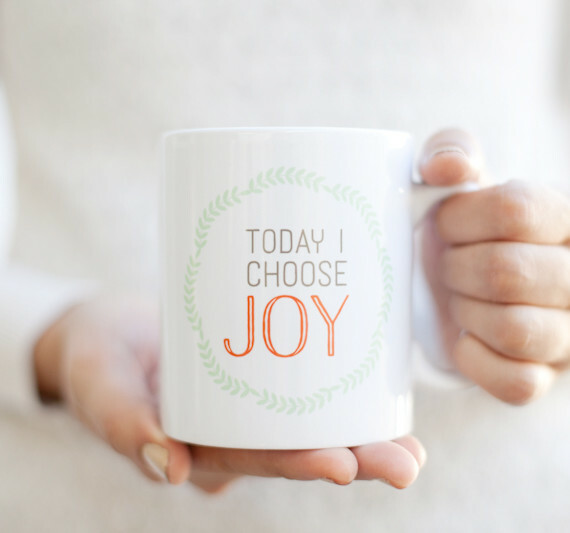 And no matter what, choosing joy and clinging to hope are the best responses we can have to the struggles in this life, drawing our strength from a loving and faithful God who has promised to see us through the storms.